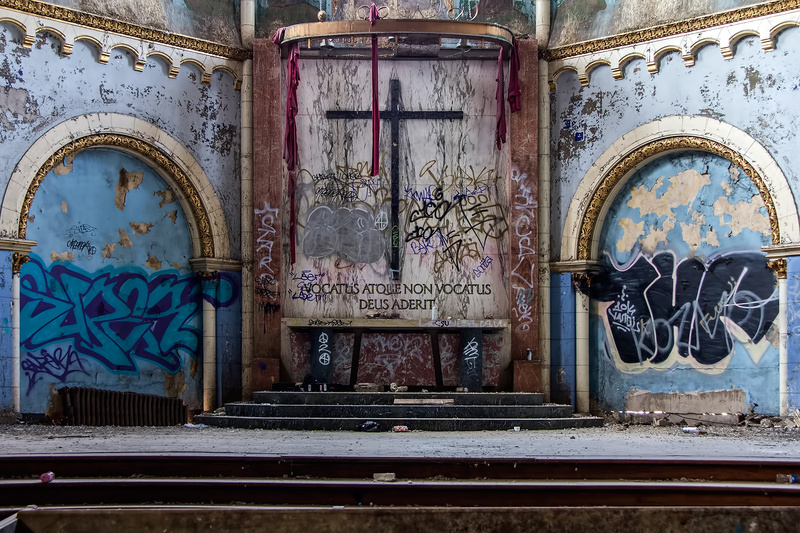 Saint Boniface is an abandoned Catholic Church in Chicago’s West Town neighborhood at the corner of Chestnut and Noble streets. 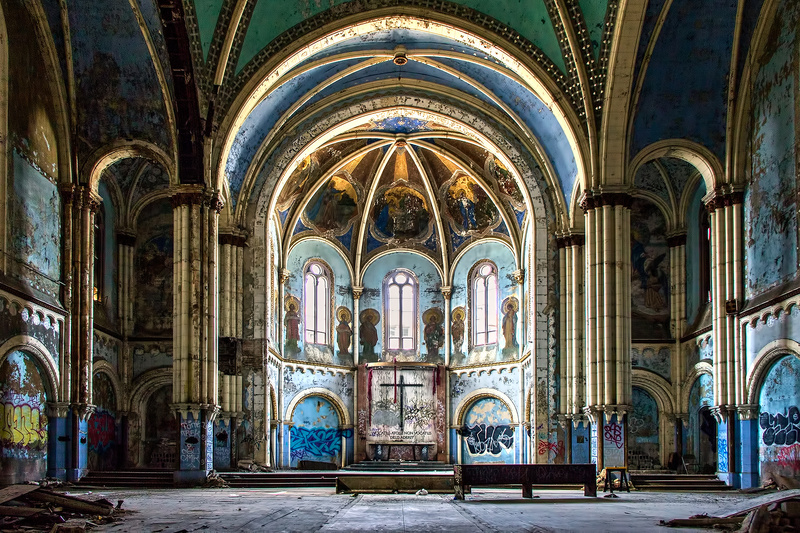 Founded in 1864 as a home for Chicago’s great wave of German immigrants, it went on to serve Polish and then Hispanic parishioners before dwindling attendance forced its closure in 1989. 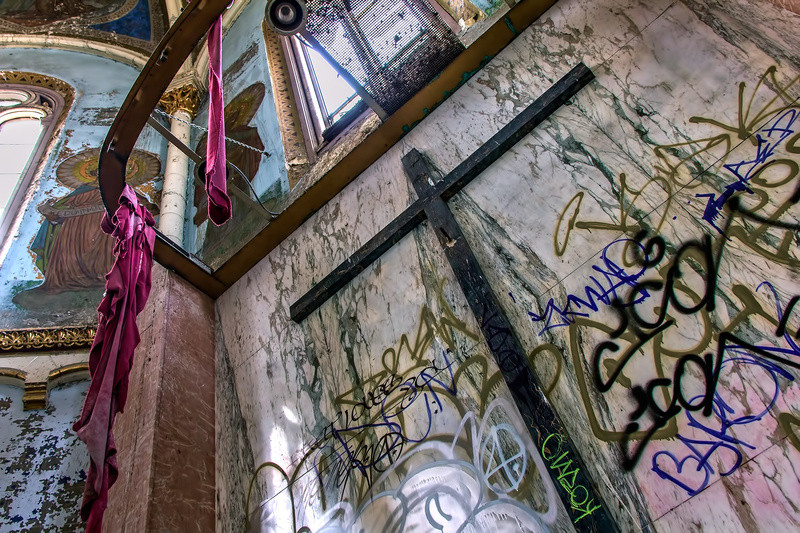 Last Easter, photographer Brian Bobek photographed the St. Boniface. 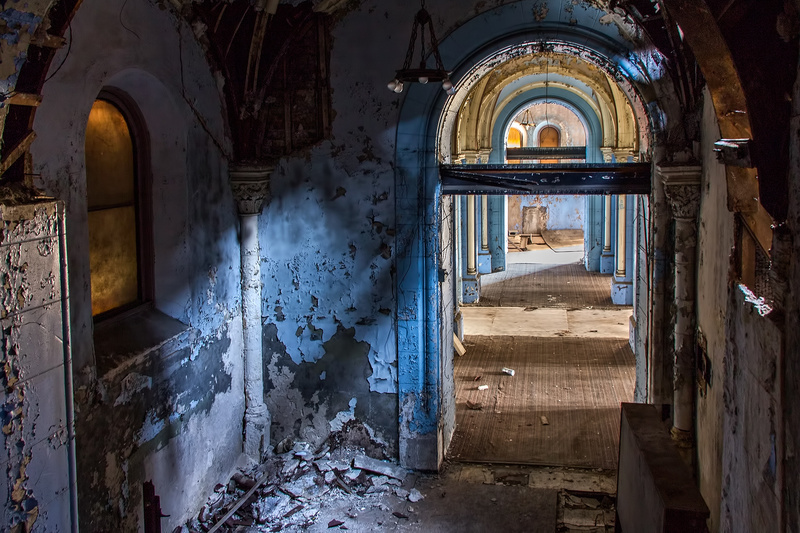 An Oak Park resident, Bobek said he’s been consistently seeking out abandoned buildings to photograph for about a year and a half. 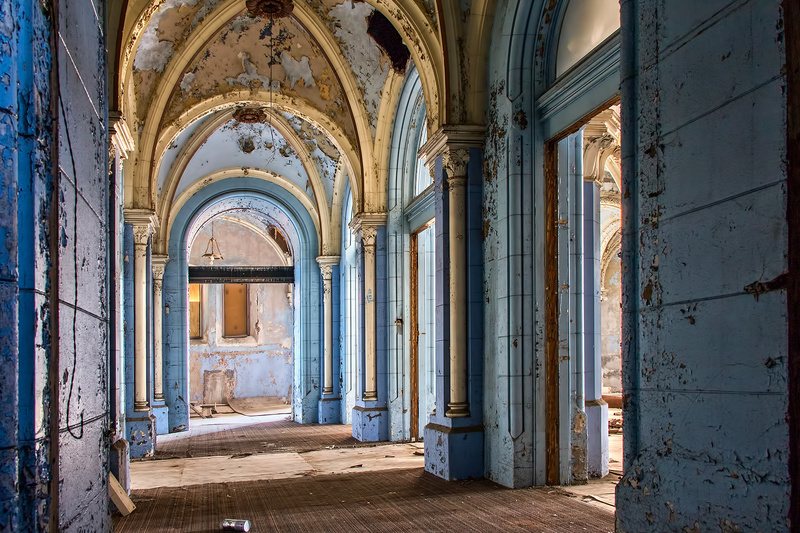 During that time, he’s shot 26 locations across four states. 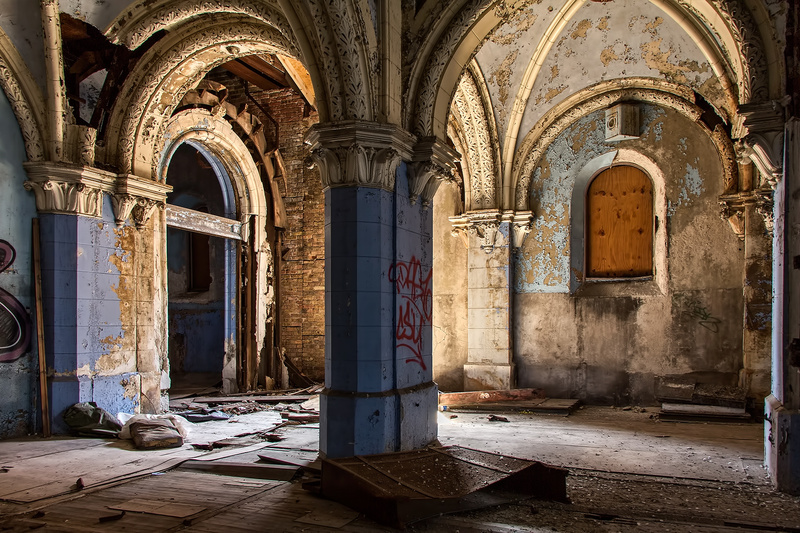 Upon entering St. Boniface, Bobek said “I’m almost always focused on the technical inside of locations so my initial thought was that it was fairly small in regards to photo opportunities. I knew I wouldn’t be there for long. That being said, the fact that it was Easter Sunday was a bit odd. 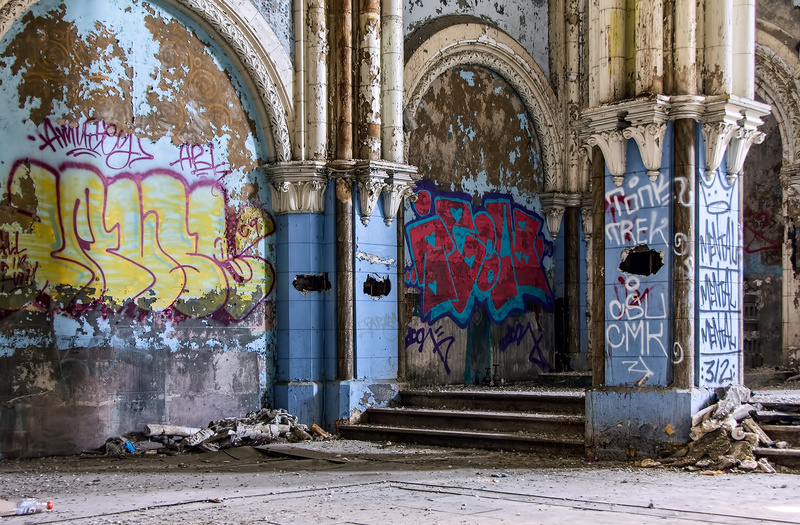 Bobek said he shoots with a Canon 60D and the crucial piece of equipment for urban exploring photography is a tripod. 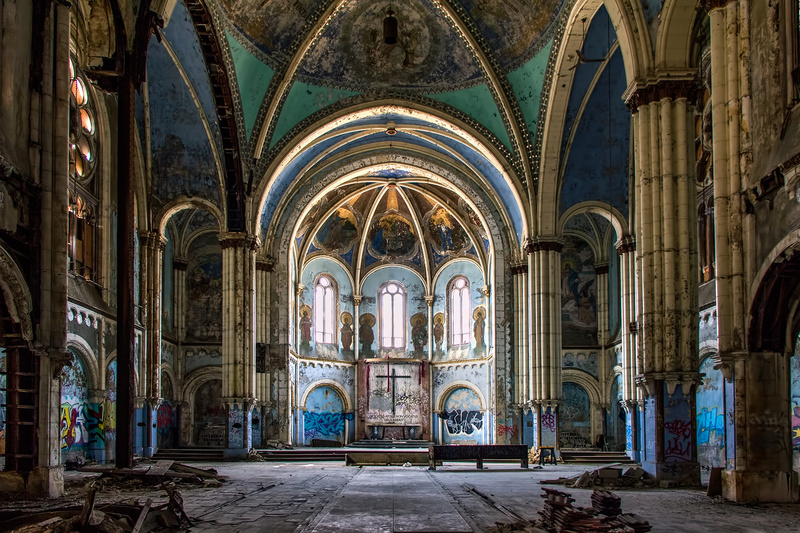 To see more of his photos, click here.